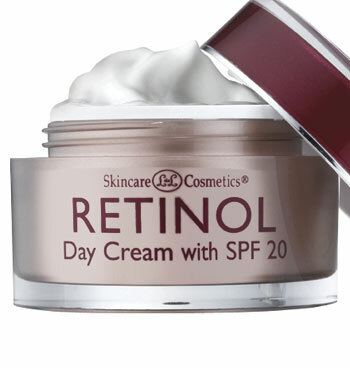 Retinol day cream with SPF 20 sunscreen moisturizes with Aloe Vera for firmer, younger-looking skin. Fortified with 400,000 I.U.’s Vitamin A and grape seed extract for a luminous, even-toned complexion. 1.7 oz. Day Cream Ingredients: Water (Aqua), Glycerin, Cetearyl Alcohol, Petrolatum, Glyceryl Stearate, Retinyl Palmitate, PEG-40 Stearate, PEG-8 Stearate, Stearic Acid, Diazolidynyl Urea, Carbomer, Methylparaben, BHT, Xanthan Gum, Propylparaben, Chitosan PCA, Tocopheryl Acetate, Triethanolamine, Fragrance, Silk Amino Acids, Tetrasodium EDTA, Ascorbyl Palmitate. Day Cream Instructions: Use daily on clean, dry skin. Apply liberally 15 minutes before sun exposure and as needed. Children under 6 months of age: ask a doctor. Reapply as needed or after towel drying, swimming, or sweating. This is one the most efficent day creams that I've used. I especially like the SPF 20 and feel confident using it when I take my daily walk as well as under make-up. It serves me well on any occasion and I will continue to use it. 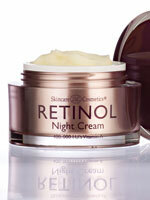 This is a great cream. I would recommend both day and night cream. 100% satisfied. Get rid of facial wrinkles. it helps reduce my wrinkles. I chose this product because it works and I love it! Used this before very creamy makes my face feel smooth, did not burn my skin. This is the product line I use. Great stuff. 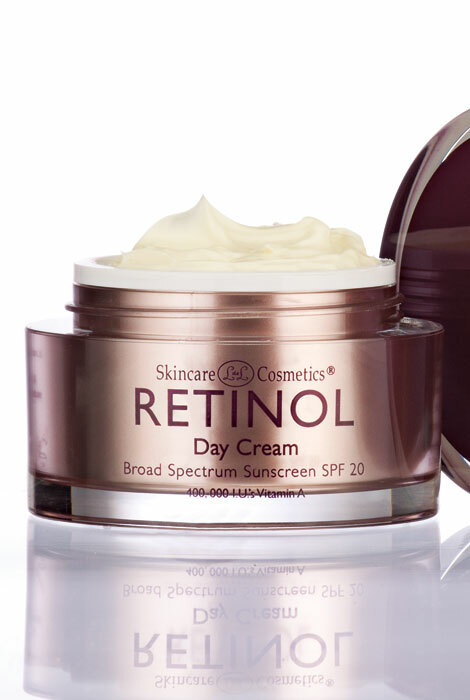 The Retinol Day Cream is perfect for my skin. I love that it has SPF20 since I am outside a great deal. I love this product. My skin looks so much better. The combination of day and night cream are great for my complexion. Have used it for some time & i'm happy with it. I needed a moisturizer with sunscreen. this product works well for me. used previously. Very Good product. Like the way it feels on my face. "tired it for the first time - retinol- good price- my second renewal it works great i finally found an excellent product for my face. May daughter and I have used this for several years and are getting great results. I am 80 and face looks pretty good.